Every packet based network has an MTU (Maximum Transmission Unit) size. The MTU is the size of the largest packet that that network can transmit. Packets larger than the allowable MTU must be divided into smaller packets or fragments to enable them to traverse the network. Note: For more information on the IP header, see RFC 791 – Internet Protocol. Three of these fields are involved in packet fragmentation. An identifying value that the sender assigns to aid in assembling a datagram’s fragments. Note: For more information on the TCP header, see RFC 793 – Transmission Control Protocol. 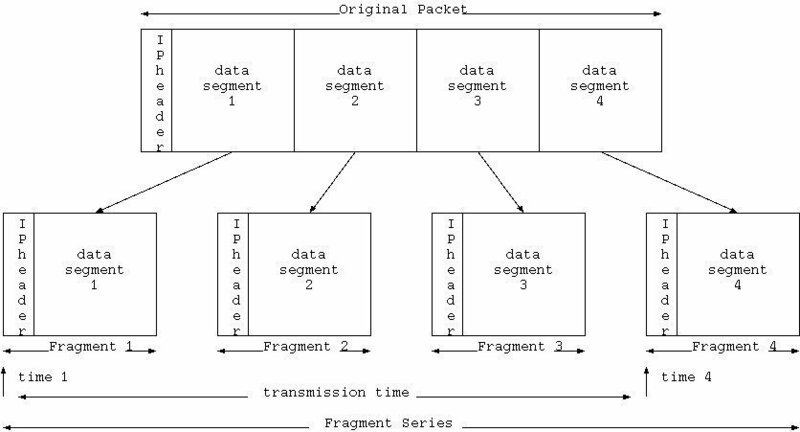 If a 2,366 byte packet enters an Ethernet network with a default MTU size, it must be fragmented into two packets. Be 1,500 bytes in length. 20 bytes will be the IP header, 24 bytes will be the TCP header, and 1,456 bytes will be data. Have a Fragmentation Offset of 0. Be 910 bytes in length. 20 bytes will be the IP header, 24 bytes will be the TCP header, and 866 bytes will be data. Have a Fragmentation Offset of 182 (Note: 182 is 1456 divided by 8). Packet fragmentation can be utilized to get around blocking rules on some firewalls. This is done by cheating with the value of the Fragment Offset. The trick is to set the Fragment Offset’s value on the second packet so low that instead of appending the second packet to the first packet, it actually overwrites the data and part of the TCP header of the first packet. If someone wants to `telnet` into a network where a packet filtering firewall blocks TCP port 23, SMTP port 25 is allowed into that network. Have a Destination Port in the TCP header of 25. TCP port 25 is allowed, so the firewall would allow that packet to enter the network. Have a Fragmentation Offset of 1. This means that the second packet would actually overwrite everything but the first 8 bits of the first packet. Have a Destination Port in the TCP header of 23. This would normally be blocked, but will not be in this case! The packet filtering firewall will see that the Fragment Offset is greater than zero on the second packet. 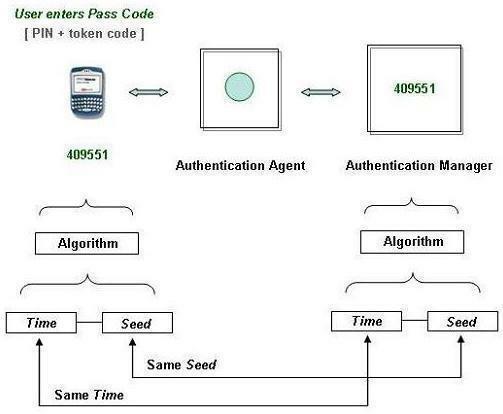 From this data, it will deduce that the second packet is a fragment of another packet and it will not check the second packet against the rule set. When the two packets arrive at the target host, they will be reassembled. The second packet will overwrite most of the first packet and the contents of the combined packet will go to port 23. Just the first packet will have layer-4 info.. Fragmented packets will only contain the payload.. According to RFC 791 for IP, the fragment offset is measured in units of 8 octets (64 bits), not 8 bits. Thanks for the concise, to- the-point explanation. its’ help me, studies of CEH.. about IP Fragmentation tool.. (ex: Fragtest or fragroute). nicely written, but wrong: the second packet will NOT contain a TCP header, thats the whole point of layers…. 215 queries in 0.524 seconds.